A working father and his 5½ year old son adjust to life when the child’s mother leaves them only to return 15 months later, demanding custody. KRAMER VS. KRAMER – Trailer ( 1979 ), WorleyClarence, www.youtube.com and pictures © Columbia Pictures. Another film from the seventies – besides One Flew over the Cuckoo’s Nest (1975) – that scooped 5 Oscars is Kramer vs Kramer (1979) winning Oscars not only for Best Picture, but also Best Actor for Dustin Hoffman and Best Supporting Actress for Meryl Streep. Justin Henry was also nominated for a Best Supporting Actor award but lost out. The film also includes JoBeth Williams in a memorable scene and an actress who was also nominated for Best Supporting Actress, Jane Alexander. The film starts with a married woman, Joanna (Streep) stroking her sleeping son’s hair and telling him that she loves him. She leaves the room and calmly takes a suitcase down from the cupboard. A man later revealed as her husband Ted (Hoffman) has been promoted with a view to a possible partnership. Meanwhile Joanna is packing. On his return home, she calmly tells him – whilst he’s calling a colleague about work – that she’s leaving him. Once this news sinks in, as it takes a while for Ted to acknowledge whats happening due to his excitement about his work and then his denial. She tells him she needs to find herself. They fight verbally in the lobby and she leaves in the lift. Ted talks to a neighbour, Margaret (Alexander) accusing her of encouraging his wife to leave, then drops the bombshell Joanna didn’t just leave him but their 5 and a half year old son as well. Ted and Billy then adjust to a new life without Joanna. The first morning is difficult with Billy and his father making French toast while his father tries to keep it light – unsuccessfully – with little Billy guiding him on how to make it, while his father appears still shocked and unable to make this simple meal. As Ted adjusts to juggling work and single fatherhood, with tv dinners and a memorable, hauntingly realistic scene with ice cream – which was improvised by Henry and Hoffman – he struggles to keep both running smoothly. A letter comes from Joanna for Billy, in a scene which is heartbreaking to watch as Ted reads the letter to him. You feel for little Billy as he pleads his father to stop and he looks so little and vulnerable you want to just hug him. Ted then packs away all memories of his wife, only to find Billy has taken a photograph of his mother out for himself. I believe it is only then that Ted recognises his son is hurting, and this leads to them slowly becoming closer with more heartwarming scenes. Ted watches him in a play, he reads to him and helps him ride a two-wheel bike on his own. Ted forms a close friendship with Margaret, and he starts dating a work colleague. Meanwhile his work has been suffering due to his fatherly commitments and Ted is eventually asked to leave the company. Then whilst out in the park with Margaret, as they are talking Billy falls from the climbing frame needing stitches. As he runs holding his son to the emergency room, you almost run alongside them hoping little Billy will be ok. Later he gets a call from Joanna, wanting to meet him. The meeting is awkward and difficult, Joanna makes small talk then says she’s come back for custody of Billy. The meeting turns sour. It is then that the couple go to court – Ted’s lawyer plans to get Ted custody on Joanna’s desertion and says he will bring up matters to support Joanna is an unfit mother. But his lawyer advises in custody case the child will usually be given to the mother. Margaret is brought to the stand for encouraging Joanna to leave, where she uses the opportunity to plead how Ted has changed, and how close they are now. Ted is advised not to become emotional but he does, and it is hard watching. As Ted fights for his son knowing the courts are more likely to side with the mother, Joanna. You feel anger not just with him, but also for all the men put through this, and who despite the fact they are a wonderful father and have the best intentions for their children have to fight it out in similar situations. Or worse. Joanna’s speech – improvised by Streep – equally tugs the heartstrings. But all along you are hoping that things will turn out well for Ted. The lawyers play dirty, and the looks between Ted and Joanna are apologetic, supportive and you feel they almost want to say to each other that they didn’t want it to be like this. The judge’s decision is made. I’m not going to tell you how this ends, because I want you to see this film for yourself. Hoffman is fantastic, giving his most memorable performance to date. Hoffman improvised many of his scenes with Henry. Whilst doing this he helped Henry explore so many emotions on-screen. They work well together, and both give powerful performances. Henry is fantastic is this his first role and deservedly got an Oscar nomination and you feel your heart tugged in all directions with his performance. Streep, in comparison is just as spellbinding, at first you almost hated her character leaving her son and husband but she gets her chance for redemption in court. The film is one I watched as a kid, and now recently as a stepmother and watching again as an adult I feel that my personal view of who Billy should live with hasn’t changed. My sympathies are with his father Ted, but watch this film for yourself to decide. And as you act as judge, jury and executioner acknowledge just how valid this scenario in court is today. Battle VS – Ted Kramer And Billy Kramer VS Peter Griffin And Tom Tucker – Episode 2, SuperCut, http://www.youtube.com. 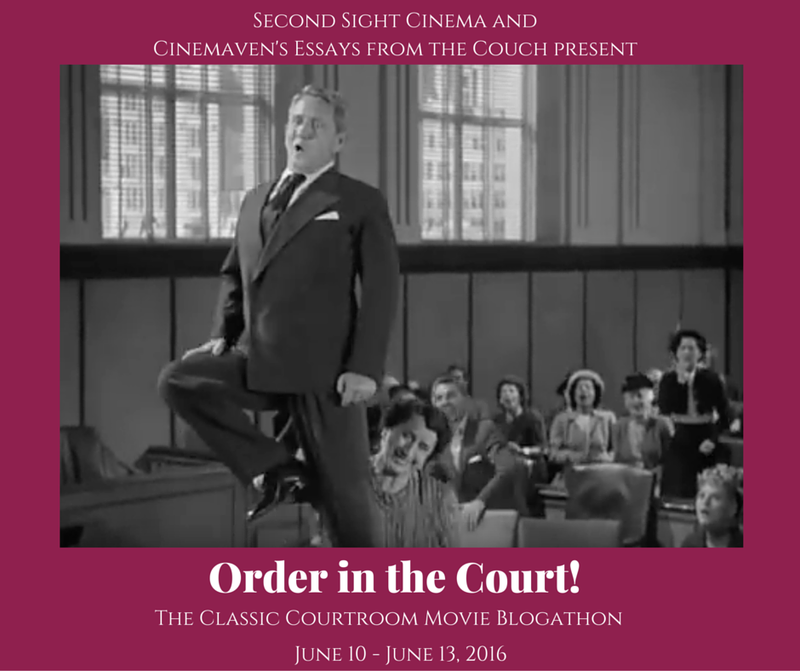 This is my entry for the Order in Court blogathon run by Second Sight Cinema and Cinemaven’s Essays from the Couch. The film is Kramer vs Kramer (1979) and stars Dustin Hoffman, Meryl Streep and Justin Henry. More films on this blog with this cast include Hoffman in Tootsie, Family Business and The Graduate. Also Mamma Mia (Streep). Kramer vs Kramer also features in the list, 5 Child Actors in relation to Justin Henry’s performance in this film. I loved this film … its a total classic and i sobbed most of the way through it too! I have never heard of this film. It sounds really interesting, I will be watching it. I enjoyed reading your article. I remember seeing this film years ago, and remember the court sequence as being quite powerful. Don’t forget to check out my contribution to the blogathon. This film is very moving – and I think it’s the little boy’s performance that moves the most. It’s great that they show all the sides – the mother’s, the fathr’s and the kid’s in the process. Never seen this film (I haven’t heard of it either) but I think I will give it a watch soon! Never seen or heard of this film before sounds good. This sounds like a film me and the teen would enjoy together. I didn’t realize Streep’s speech was improvised – impressive! I agree that at first, a person doesn’t have much sympathy for Streep’s character. But Streep is such a great actress, she makes us have empathy for her when she returns. Kramer vs. Kramer (and the following year’s Oscar winner, Ordinary People) are two Best Picture Oscar winner films that I have yet to see. Not surprisingly, since if you overview my own website, they aren’t in my field. Still, I guess someday I might actually sit down with it. Maybe after I finally get around to watching Going My Way, so I won’t get too depressed…. I’ve never seen this film and I think it would make me cry, but it’s obviously dealing with powerful issues. Sounds like a real heart-wrencher. I don’t often think about how the majority of court cases must be familyrelated, and utterly devastating. Ha! What a crazy touch to add the cartoon at the end of your essay. Thanks for joining our blogathon…”Kramer vs. Kramer” is SUCH a great movie. Thanks again, Gillian. Thanks for letting me join the fun, in all my reviews try and find a Lego or parody version of the film. There are some great ones out there!